With October being Stamp Collecting Month, what better time than this month to select not just one, but a number of special resources that can assist not only the beginner hobbyist but the experienced philatelist with their collecting. 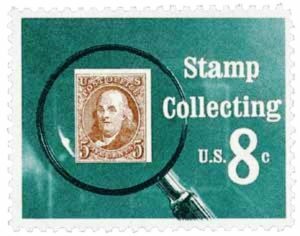 A while back at the Columbus StampShow, I had the opportunity to ask a number of collectors if there were one resource that they felt their philatelic library couldn’t be without, and if so, what would it be. In the process I received a number of great suggestions, here are just a few. 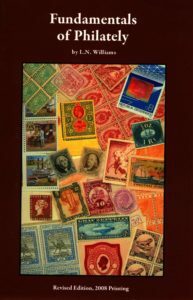 Many selected the highly authoritative and well known “Fundamentals of Philately” by L. N. Williams (HE6213 .W724f) as an indispensible resource for its comprehensive approach to all aspects of the design and production of stamps. The latest 2008 revised and updated edition provides details concerning printing, perforating, watermarking, inks, embossing and a wide variety of other stamp production technologies. No less important to many collectors and geared more towards the beginner to intermediate collector were two books, “Linn’s Complete Stamp Collecting Basics” by Michael Baadke (HE6213 .B111L 2004) and “The World Encyclopedia of Stamps & Stamp Collecting” by Dr. James MacKay (HE6215 M153cg 2006b). Both resources include information concerning starting and building a collection, proper storage, stamp terminology and resources available to collectors. The former includes information about cover and postal history collecting, stamp design and even selling your collection, while the latter includes information about global collecting and resources as well as a “world directory of stamps” that provides a philatelic history and background for a vast number of countries through their stamps. 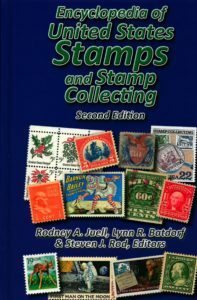 For U.S. collectors the resource that was mentioned universally was the “Encyclopedia of United States Stamps and Collecting” edited by Rodney Juell, Lynn Batdorf and Steven Rod (G3700 .A11 E56 2016). With the most recent second edition appearing in 2016 the book is a wealth of information regarding U.S. stamps from the stampless cover era to the twenty-first century commemorative issues as well as the history, production and technology involved with all of those issues. 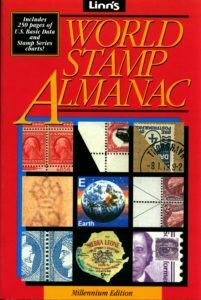 An even more detailed resource for U.S. collectors is Linn’s World Stamp Almanac (HE6194 .L758) edited by Michael Laurence. 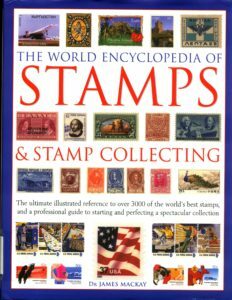 The book, last published in 2000, as its name suggests does provide some very useful information regarding worldwide collecting specifically concerning stamp-issuing entities, dead countries, the Universal Postal Union, joint issues and worldwide first issues by date and by country. But the real strength of this resource is the incredible amount of detail provided for U.S. stamp issues and postal history. The U.S. chapters of the book provide information regarding U.S. issues from 1847-1999 including basic stamp data, production details, the Citizens’ Stamp Advisory Committee, postal rates, postal regulations, first days, duck stamps, plate blocks and EFOs. Also in a more general vein are chapters on stamp collecting basics, stamp organizations, major stamp auctions and philatelic literature. But this blog is only a start, I would be interested in hearing about that one indispensable resource that our readers have in their philatelic libraries. Feel free to send your suggestions to stiffney@stamps.org.